Moving can be a very stressful event in life. By following these 5 moving tips, you will be prepared to collect your new apartment keys on move in day, and have everything in order! Go to a local grocery store and ask for empty boxes. There is no need to pay for this disposable moving supply. The grocers are happy to unload this commodity to you. The best time to go is early in the morning, after they have unloaded all of their freight, but have not put the boxes out to the trash compactor yet. Most renter's insurance policies cost under $1 a day. You may think you do not need it because you do not own the apartment building, but renter's insurance is important because it covers your belongings from theft and damage. It also provides liability coverage if someone is injured while in your apartment. 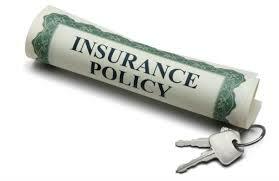 Renter's insurance policies can also pay for your stay in a hotel if there would be a disaster in your apartment. 3. Set up utilities in advance. Most landlords will require you to pay for the electric, heating, and water. Make sure that you have the appropriate phone numbers for these utility companies (and your new address) so that you can turn the utilities on in your name prior to moving in. Some landlords may require proof that you have done this, so write down all confirmation numbers and bring to your move in appointment. Use your sheets, towels, etc. as a cushion between your plates or as a cover to your furniture (to prevent scratches). Don't overpack boxes. You may think by having less boxes, it will be easier, but picking up 60 lb boxes is no light task. Label everything! And if you have multiple boxes per room, try to keep them together. *The experts suggest color coding your boxes, see the link below. 5. Budget for your move. Call the leasing office well in advance of your move in and get a quote of the exact amount that is due on move in day. Make sure that you have this money set aside (in the form of a cashier's check, or in a separate checking account) or reserve a special credit card. Make sure to ask the leasing office what forms of payment they accept. If you have to pay by cashiers check or money order, get this at least two days in advance of your move date. Plan for the moving costs, too. If you are hiring movers, this cost could be $300-500 for a local move, or upwards of $1000 for an out-of-state trek. Make sure to get a reliable service and an accurate quote from the company that you are using. 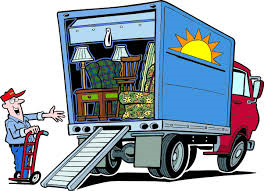 If you are doing the moving yourself, get prices and reserve a moving truck in advance, and anticipate how many trips it may take you. Oftentimes, rental companies charge by the mile, or you are required to bring the truck back with a certain amount of fuel. 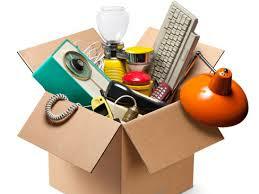 For more helpful moving tips from the experts at Apartment Guide, read their blog post here.